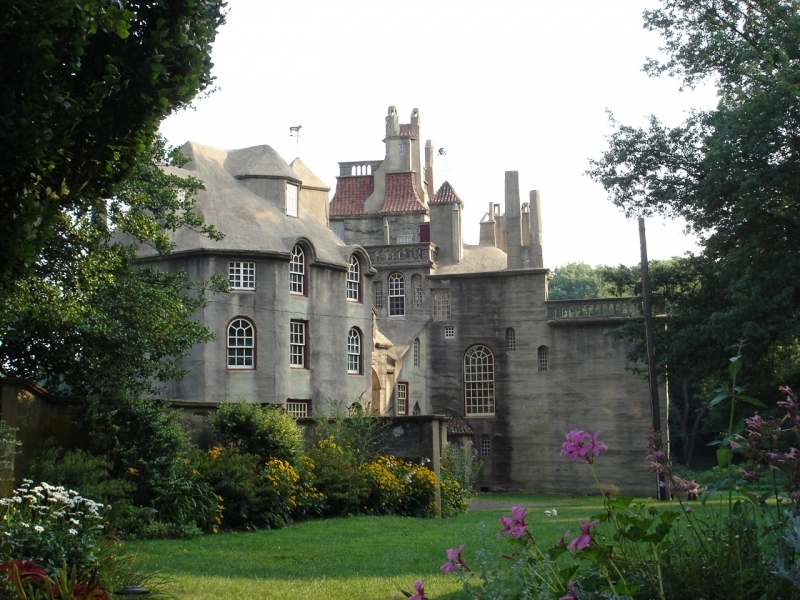 I grew up in Doylestown over 40 years ago, was in awe of the Mercer Museum and Font Hill, and still love to see those places on my return visits. My gaydar suddenly went off this year and I too am curious for clues. Sadly I have none beyond what you have provided but will keep my ears to the ground! Am signing up to receive email comments on the subject. I believe I read that Mercer had a friend, who lived at Fonthill first with Henry, then, when the friend married, he and his wife continued to live there. This might have been the perfect arrangement in the late 19th, early 20th century for one gay man and one bisexual or closeted man. You are correct: Mercer’s lifelong friend, Frank Swain, helped Mercer build Fonthill. After locals started whispering about the men’s relationship, Mercer conveniently married-off his housekeeper, Laura, to Frank Swain. Doylestown/New Hope has a long history and association with queers and artistic sorts. We just toured Foothill Castle today. Mr. Mercer contracted gonorrhea in his early 20’s. There was no cure at the time and he lived the rest of his life with the disease.